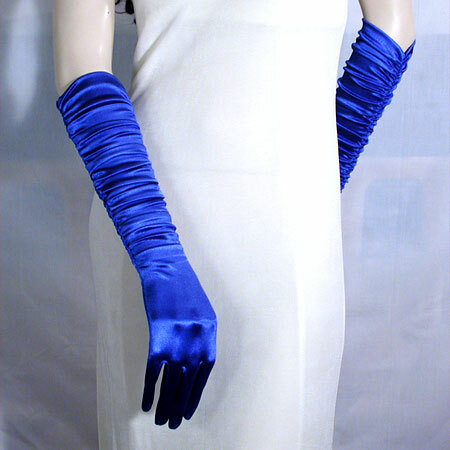 Shirred Satin Gloves Long shirred satin stretch gloves. These gloves are shirred from the wrist to the hem. The end just below the elbow. The satin fabric contains 10% lycra and fits sizes 6 to 8. The shirring is stitched onto elastic so there is stretch in the length as well as the width. One size fits most. Color: royal Hue: Code: #3359FF.